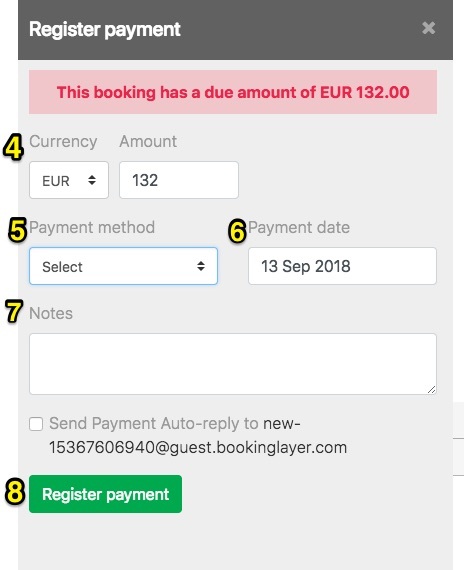 When you receive a payment for a booking there are two methods that Bookinglayer will register the payment for a booking, depending if the method of payment is automatic or manual. If you have set up any of the automatic payment methods we support, Bookinglayer will automatically register a payment made by the customer and update the booking accordingly. In this case you do not need to manually enter any payments. With these payment methods the booking status will automatically change from Confirmed to Deposit Paid or Paid, depending on the payment amount. 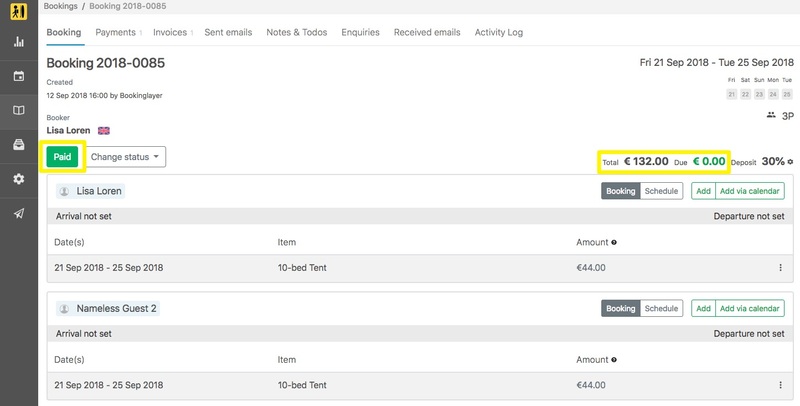 If you want to further automate the process you can set up an automated 'payment confirmation' email that the customer will receive once Bookinglayer registers the payment. Note - the customer can make a payment through these methods directly from the booking form if your items are set to automatic confirmation, or through the Payment section in the Customer Portal URL. For payments made through any of the following payment methods, the payments will have to be manually entered into Bookinglayer to reconcile against a booking invoice. 3. 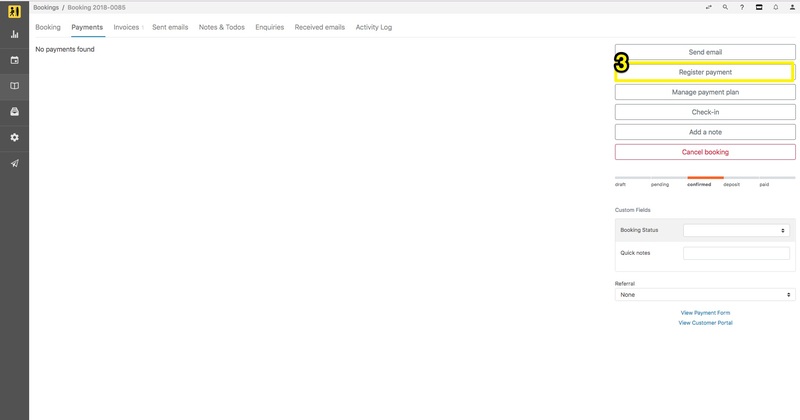 Select Register a payment and a modal will appear to the right. 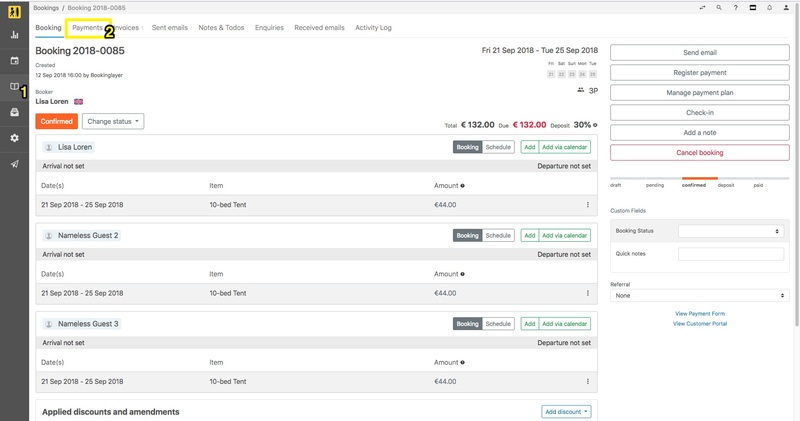 The payment details will now appear on the list within the current tab, as well as the general Payments tab in your Booking module. Booking status also changes to paid. The status of the booking will now have be changed from Confirmed to Deposit Paid or Paid (depending on the payment amount).